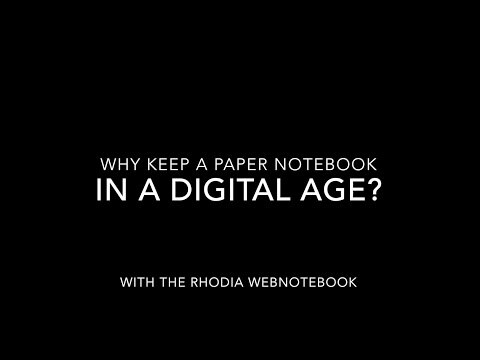 Somehow I missed this video by Girl With A Lesson Plan showing how she uses her pocket size (A6) Rhodia notebook as her bullet journal. She shows us how she started bullet journaling in an A5 notebook but found it too big and heavy to carry around. She did a lot of trial and error in her first bullet journal (which is part of the process) and learned a lot about what she liked and didn’t. After going back to the Filofax she had been using before, she switched to a softcover A6 Rhodia notebook for her bullet journal. She walks us through the notebook and shows us how she solved some of her previous issues, some pages she started using then abandoned, and what worked really well in her bullet journal. She was inspired by Megan Rhiannon’s video showing how she uses a Rhodia A6 notebook for her bullet journal, which you may remember was featured here. The notebook shown in this video is the A6 size Rhodiarama softcover dot grid notebook with the Turquoise cover. You can see more information on the Rhodia softcover notebooks in A6 and A5 sizes with dot grid or lined pages (including where to buy in the USA) here.